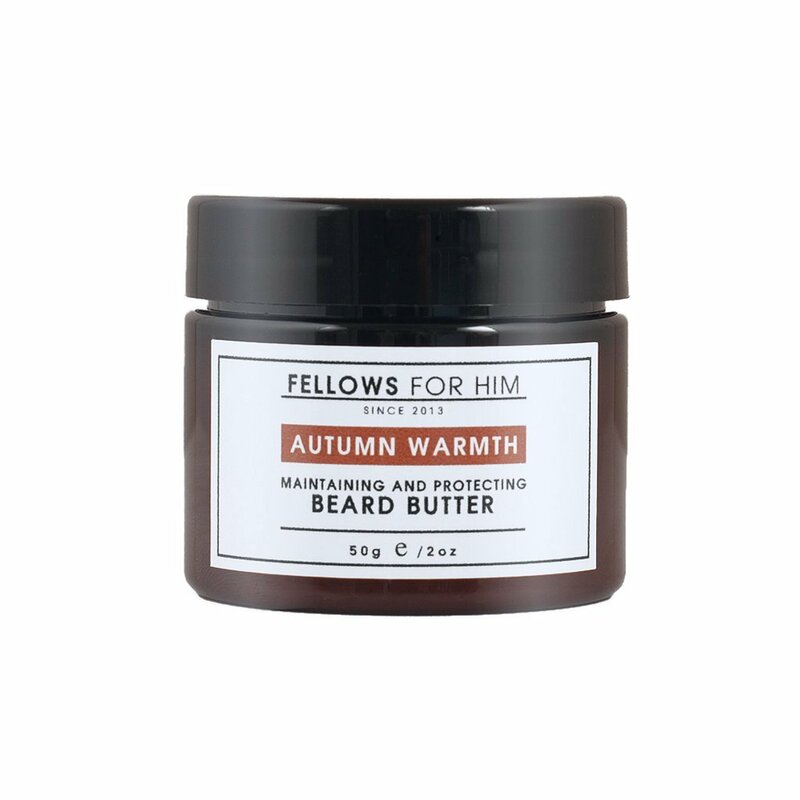 Fellows Essential Gentleman Beard Butter is a little softer and more workable than Beard Balm. It will nourish the beard whilst giving a natural look and maintaining a light style without greasiness thanks to the added beeswax. Has a masculine scent of cedarwood and rosewood. Packed full of vitamins such as Vitamins A, C, E & B vitamins and will keep your beard and face moisturised and soft. Guineensis (Palm) Oil, Cocos Nucifera (Coconut) Oil, Theobroma Cacoa (Cocoa Butter), Castor (Ricinus Communis) Seed Oil,Aniba Rosaeodora (Rosewood),Cedrus atlantica(Cedarwood),Piper Nigrum(BlackPepper),Pogostemon Cablin(Patchouli) Essential Oil.